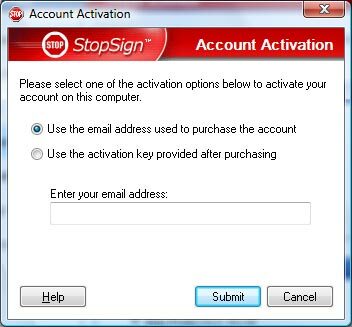 Please follow these instructions to activate your eAcceleration StopSign account. Before you begin - log onto the internet and temporarily exit any firewall programs you may be running. 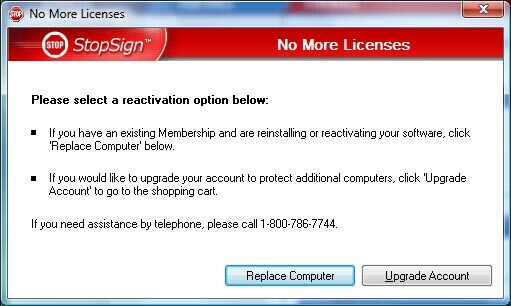 Click START > PROGRAMS > EACCELERATION > STOP-SIGN > STOPSIGN SOFTWARE STATION. 2) Click ACCOUNT > EDIT ACCOUNT ( or ACTIVATE) on the menu bar. Users may see either EDIT ACCOUNT or ACTIVATE depending on whether or not StopSign is currently activated on their computer. REPLACE COMPUTER - Click this button if you have an existing eAcceleration Membership and are reinstalling your software or transferring the software to a new computer. Yes this article was very helpful, I printed out the instructions and had no problems. Thank you. Shirley W.
This was really easy! Thanks for the help. This article was very helpful. I was able to activate my Stop Sign account with no problems. I am up and running after 2 days and lots of frustrations, but none of it towards your fabulous staff. I somehow managed to pick up 5 viruses and may have had them for quite some time. All I know is they took over my computer and I freaked out. I contacted one of your customers, Gene P. and he sent me directly to your site. I didn't hesitate to purchase and got started right away. I wore Ernesto out with 3 phone calls and he was great. He walked me through things I was clueless to, set me up with things I didn't know even existed and some how didn't drop my call with all my endless questions. I truly appreciate your companies help and as you can see, I'm up and surfing. I'm sure I'll find trouble again, but feel secure with your site and a staff that serves 100% customer service and satisfaction. Thanks Ernesto and the rest of your staff.